A top American diplomat has pledged U.S. “commitment” to the Group of Seven developed top economies, despite the absence of his boss, U.S. Secretary of State Mike Pompeo, at G-7 meetings in France. The upbeat tone marked a pointed contrast to President Donald Trump, who has made no secret of his disdain for the G-7. Sullivan also says the U.S. is “looking forward” to taking over the group’s presidency from France next year. Key issues that will be discussed in France include trafficking in Africa’s troubled Sahel region, cybercrime and the fight against the Islamic State group. Interior ministers of the Group of Seven most advanced economies have adopted joint commitments on the world’s top security issues. British Foreign Secretary Jeremy Hunt has launched a media freedom campaign alongside international human rights lawyer Amal Clooney from the sidelines of the Group of Seven foreign ministers’ meeting in the French Atlantic resort of Dinard. Clooney will be Hunt’s Media Freedom special envoy and chair a panel of legal experts that will offer advice to governments who want to strengthen journalists’ rights. 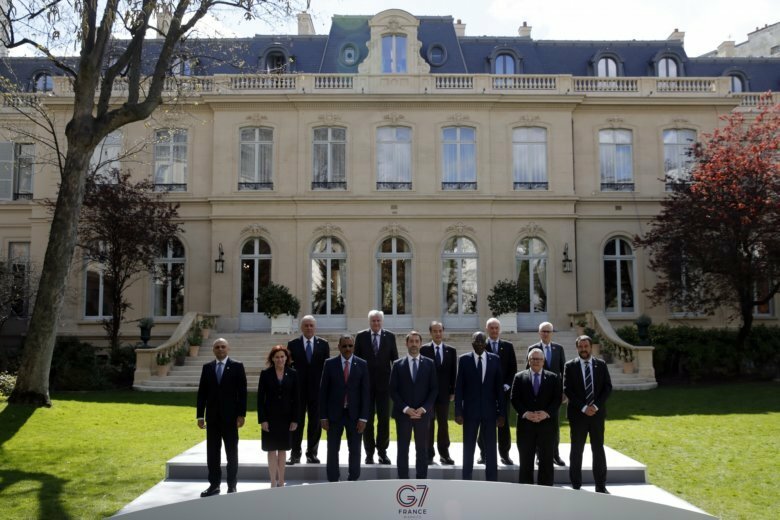 The world’s security challenges are at the top of the agenda of foreign and interior ministers of the Group of Seven countries who are gathering in France.